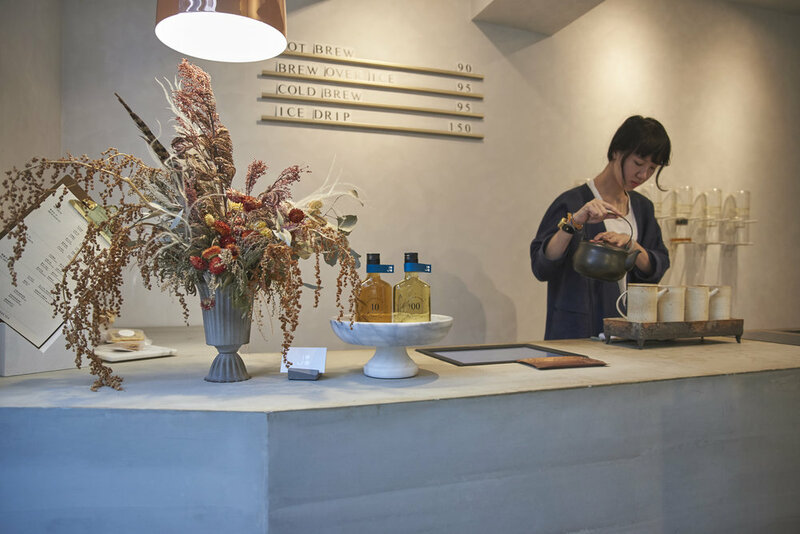 Taipei is a city that just gets café culture. I find myself thinking about some of the spots we visited there during our last trip rather often. My husband and I are serious about coffee, tea and chocolate and avoid the mass market stuff as much as possible. During our last trip to Taipei, we found some really excellent options for all of the above. Honestly, if there hadn’t been so many other things for us to do (and so many amazing things to eat) then I could have just spent hours at any of these cafés pretending I live a life of leisure. While the big box cafés have made it to Taiwan, coffee culture here is really not so much about grab and go, but spaces that invite one to linger and enjoy. Attention to detail is paramount - not only to design, but most importantly to product. Coffee is selected, prepared, and presented meticulously. That also goes for tea chocolate and of course tea that all offer a delicious and elevated experience. Keep in mind you won’t find some of these places open early in the morning (nor are they all th e most budget-friendly) - but that’s all the more reason to sit down, take a break and enjoy later on in the day. Here are some of the most memorable spots that we visited. Shi Jian Tea in Xinyi was an incredible experience for all the senses. Photo by Tobias Wang. Taiwan may have given the gift of bubble tea to the world, and I will admit I love it dearly. But in this case, I urge you to look beyond the bubbles and head to the chic, minimalist Shi Jian Tea in Xinyi District. 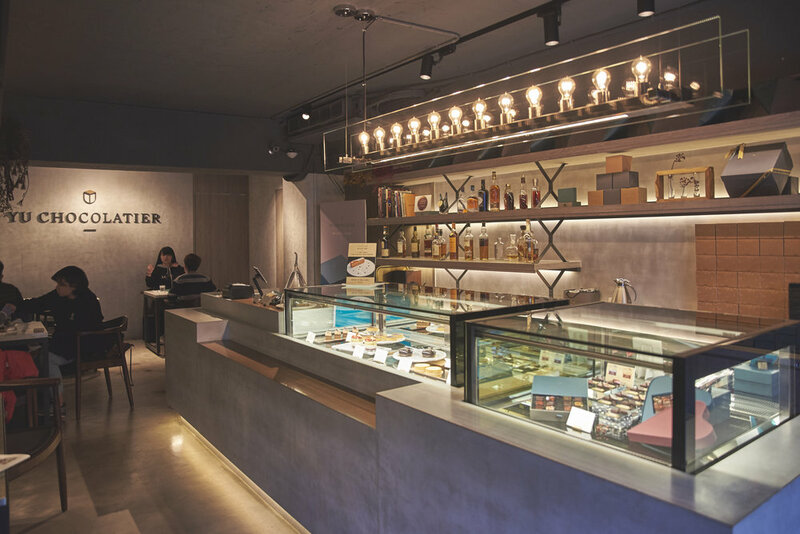 Though its look is beautifully modern, this is the evolution of a fifth generation estate tea business so they know tea in the traditional sense, and the proof is in how incredible their offerings are. Don’t expect limitless options - at Shi Jian the teas are as deliberately curated as their design aesthetic is. There are about a dozen teas available rated from 00 (light) to 05 (medium) to 10 (heavy) roast, with a big focus on oolong - which Taiwanese tea growers of course excel at. Teas are available brewed hot, through an ice drip process or cold brew - and all are done to perfection. A few sweet treats available as well, and it will be suggested to you which one pairs best with the tea you have chosen. My tip - do not sleep on the Iron Goddess Oolong. It’s stunning. Have one while you are there and definitely pick up some to bring home with you. Coffee Lover’s Planet is a coffee lover’s paradise. Photo by Tobias Wang. Tucked away in the lower level of a luxury shopping mall in Da’an, Coffee Lover’s Paradise might be an even more appropriate name for Coffee Lover’s Planet. From bean to brew - coffee is taken very serious here and every thing from the menu to the design of the space showcases that. A range of single origin beans are available, with a suggestion of the best way to enjoy each. Espresso-based delights, pour over, cold brew, and siphon coffees are all available and shine here. As do the pastries - the taro mont blanc was especially beautiful and memorable. If the weather is nice, their patio is a great excuse to sit and enjoy everything even longer. Also in Da’an, award-winning Yu Chocolatier is a serene and decadent destination for chocoholics. Whether you are in the mood for a selection of straight up chocolate, truffles or French-inspired pastries, Chef Yu Hsuan Cheng’s creations are beautifully balanced and sure to please. Our favourites were the chocolate mousse with passion fruit, and the tarte au chocolat caramel beurre salé. Pair with a wee dram from their fantastic selection of whisky, grappa or rum. Or, on chillier days, one of their seasonally-available hot chocolates would be just the thing. I was pretty much in heaven here. The freshest scones to slather with cream or jam and pair with coffee or tea at Ciao Ciao Scones. Photo by Tobias Wang. Those with a sweet tooth are in luck - great pastries are easy to find in Taipei. For a Taiwanese twist on a British classic, Ciao Ciao Scones in Zhongzheng District, makes the flakiest, most buttery scones in flavours like matcha, honey, and chocolate. Choose one (or two, or three) from their always freshly-baked selection and slather liberally with cream and/or jam. The space is comfy yet minimal, with plenty of space to sit. Coffee is also delicious with hot or iced options available. 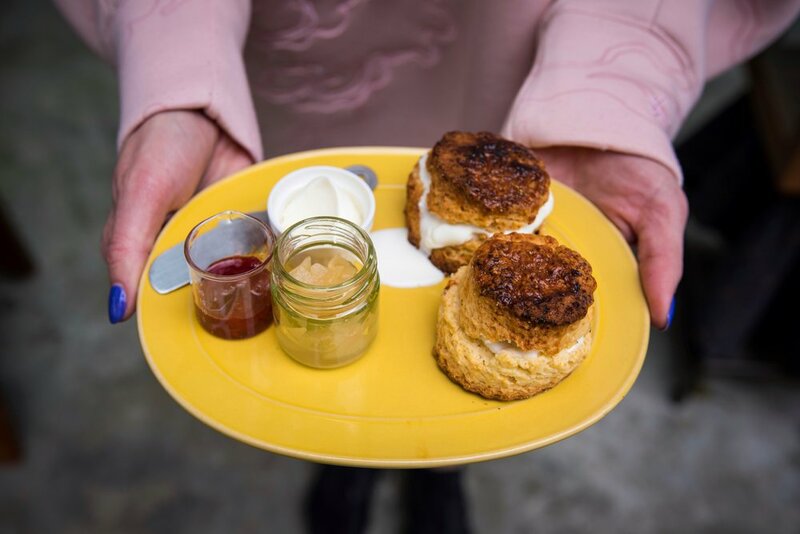 If you’re in Da’an, visit this tiny, adorable outpost that is a collaboration with Blackspin Coffee for a pour-over or cold brew tea with a scone. Epic cookies and a shot of espresso at COFFEE DPT. Photo by Tobias Wang.